The Shanghai Tongmao Hotel (Shanghai Tongmao Dajiudian) is a four-star luxury hotel well located in the Lujiazui Financial Center and trade zone of Pudong, close to Century Avenue. 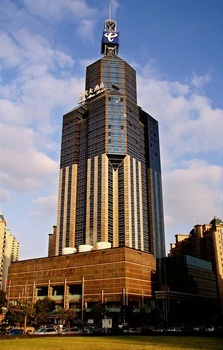 It is a tower-shaped modern building and integrated with skyscrapers in the area. It only takes a 30-minute drive to the Hongqiao or Pudong airports. The subway, ferry, maglev train and other transportation are also available nearby. This Shanghai hotel houses a magnificent lobby with fresh air and well-appointed rooms that create a homey feeling for guests staying there. Dining options include Chinese, Japanese, Korea and Western-style on-site restaurants. Business facilities include 15 different-sized conference rooms, a multi-functional hall with a capacity of 400 people, audio-visual hall with the simultaneous interpretation service that offer video-on-demand service. Guests looking for fun may take advantage of the indoor swimming pool, gymnasium, tennis court, mahjong room, karaoke room, SPA, table tennis, billiards room and other recreational facilities.